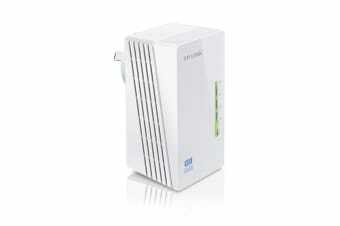 Enjoy high-speed wireless internet anywhere. 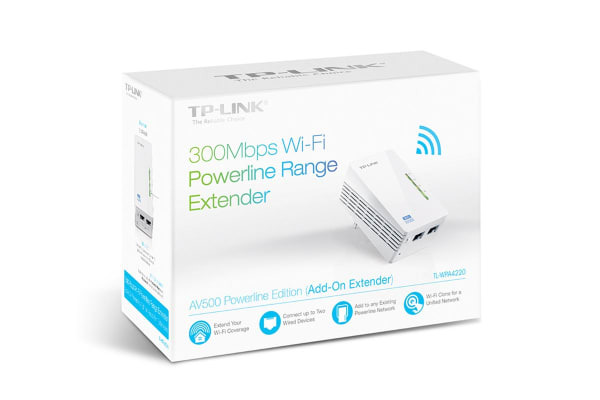 Extend your Wi-Fi connection throughout any room in the house using this powerful extender device. Utilising the existing electrical circuits of your home to extend signal, the *TP-Link AV500 Wi-Fi Powerline Extender * allows you to provide a reliable, high-speed wireless signal to any room in your home. Featuring a Wi-Fi Clone Button enabling Super Range Extension, this extender can automatically copy the SSID and Password of your router, allowing for seamless roaming within your home network. The AV500 provides you with stable, high-speed data transfer rates of up to 500Mbps on a line length of up to 300 meters. It’s the perfect whole home solution to connect all your network compatible devices, including computers, smart TVs, consoles and set-top boxes!